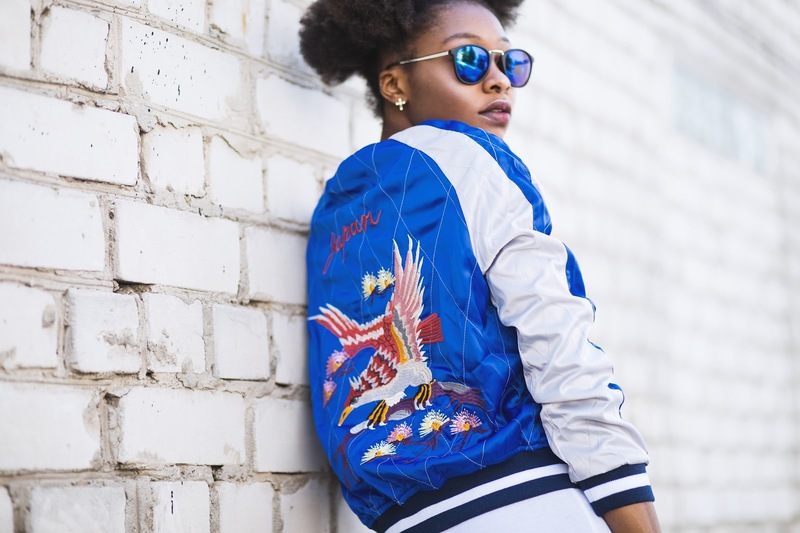 The embroidered bomber jacket is one of the hottest street style trend.This trend took over the fashion world with a new twist in unusual colors ,styles and fresh silhouettes, wear the over-sized or embroidered style, this year is all about the details. Perfect for cold summer nights and a travel essential. I couldn't get my head off this trend, 1st time i am getting so in love with an item. Mine is a multi pocket zipper convertible embroidery bomber jacket, with blue outside and black on the inside. This reversible style is very unique, It is a perfect signature,transitional piece, a piece that will fit seamlessly into our wardrobe. 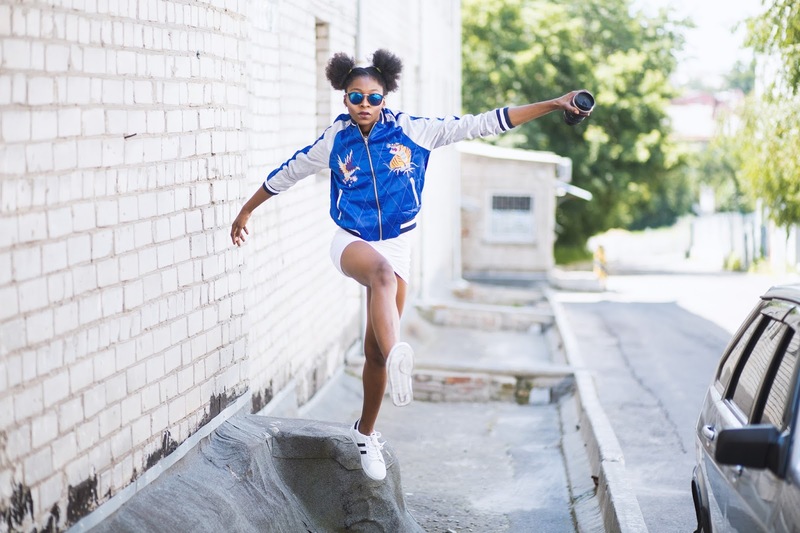 Everyone got obsessed with the bomber jacket trend most especially with the army green bomber. 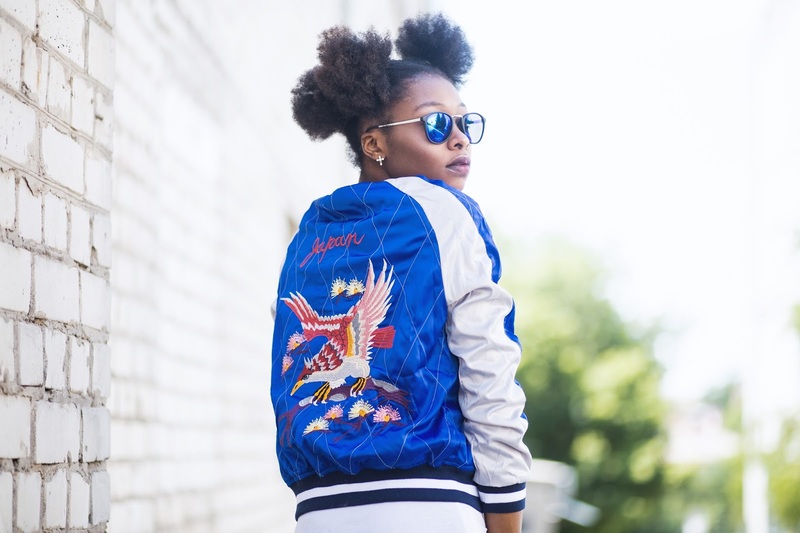 To learn a new way of how to wear satin embroidered bomber jacket outfit, keep viewing. Style in with light dresses, short jeans, jumpsuits and still get the effortless look. 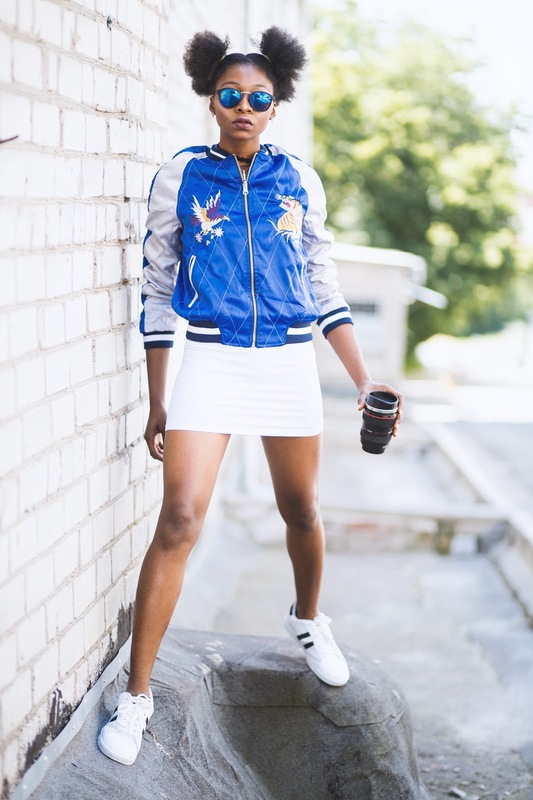 Wanted something different so i wore mine with this mini white skirt from Terranova and White sneakers from Casnaboty, also styled here and here. 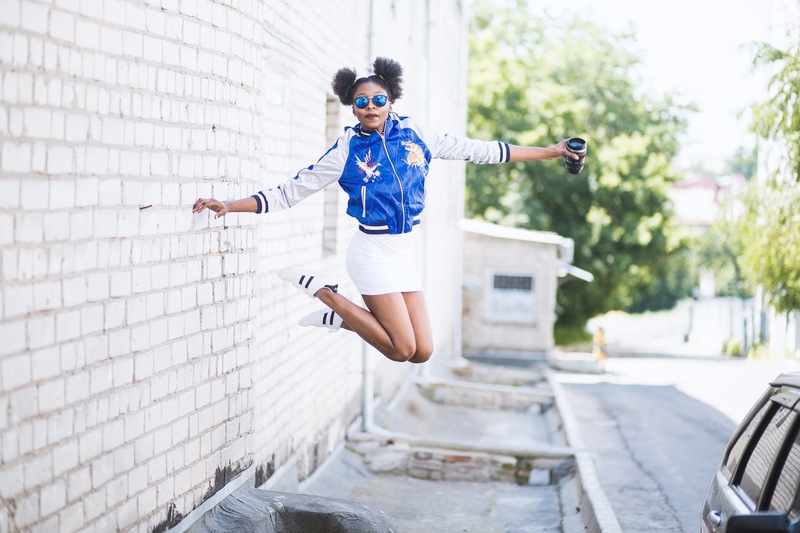 Get this jacket at a cheaper rate at Sammydress with eagle and tiger embroidery.